NeoRelief for Wound Care supports the healing process through active botanicals. 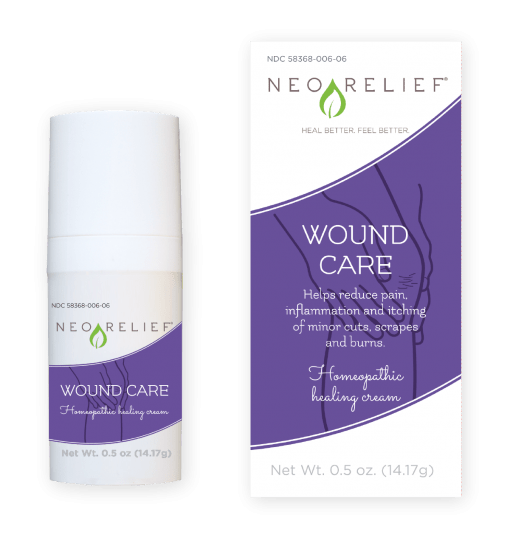 A wound care pain relief cream that helps reduce pain, inflammation and itching of minor cuts, scrapes, and burns. Helps reduce potential infection in minor cuts, scrapes, abrasions and burns. Temporary relief of itchiness and soreness. Promotes wound healing. Wash hands before and after use. Spread a thin layer of Wound Care on the affected area. Apply as needed 2-3 times daily. Do not use if you have deep or puncture wounds, animal bites, or serious burns. Keep out of eyes. Don’t use over very large areas of the body. Stop use and ask doctor if condition worsens or lasts more than 1 week or symptoms clear up and reoccur within a few days. Promotes wound healing: Aesculus Hipp., Calendula Off., Equisetum Arv., Symphytum Off. 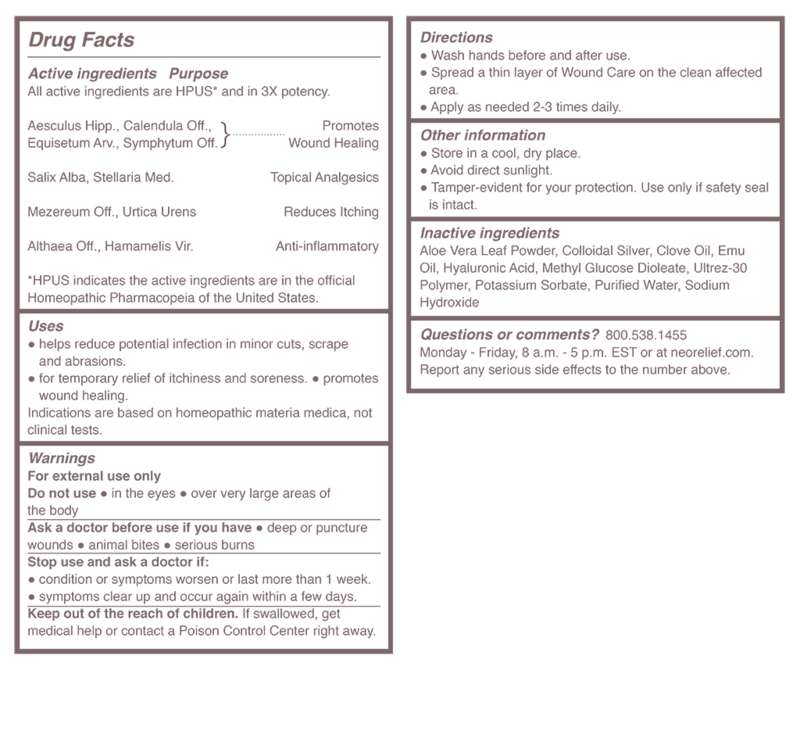 Topical analgesics: Salix Alba, Stellaria Med. Anti-inflammatory: Althaea Off., Hamamelis Vir. 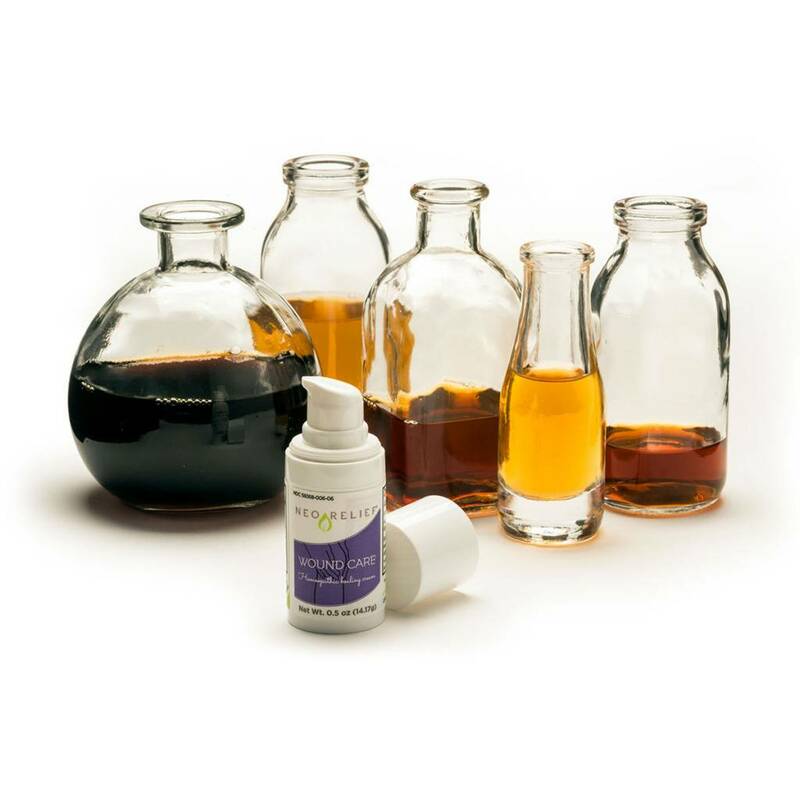 All active ingredients are HPUS, are 4X potency, and are in the official Homœopathic Pharmacopœia of the United States (HPUS), following homeopathic standards of strength, quality, purity, and packaging. 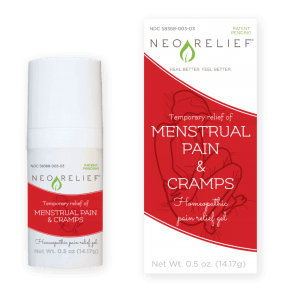 NeoRelief products are listed with the FDA.